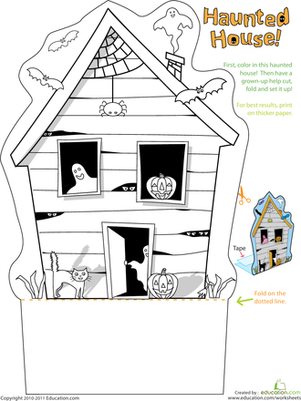 This fall coloring page depicts symbols of autumn. When the leaves change colors and there's a chill in the air, break out this fall coloring page to celebrate the changing season. 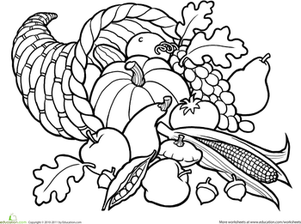 This fall coloring page features illustrations of falling leaves and seasonal fall foods. 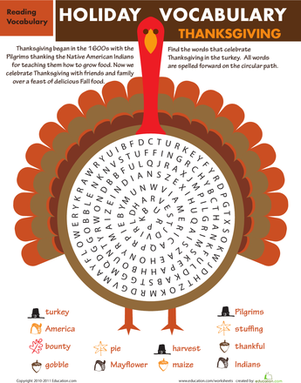 This turkey color-by-number will get your child excited about Thanksgiving. Color in this turkey color-by number with your child this Thanksgiving season.